First Official ‘Captain Marvel’ Trailer Lands Marvel’s Strongest Hero Yet! Well folks,it’s here. The first official trailer to Captain Marvel is finally here in glorious fashion! As announced late last week, Brie Larson, Carol Danvers herself, appeared on Good Morning America! this morning and brought a special treat for the world. After weeks, months, years for some of us, to see this character be brought to the big screen, the character of Captain Marvel is coming in extremely hot, as the Marvel Cinematic Universe has never needed her more. Captain Marvel is directed by Anna Boden and Ryan Fleck (Mississippi Grind) and is set in the 1990s in a world far before super soldiers and high-tech billionaires. It will see fighter pilot Carol Danvers in full control of her incredible powers that originate from The Kree, an alien race who will play a very big role in the MCU prequel. While the story will venture into the depths of space, Danvers will have to team up with young S.H.I.E.L.D. agents Nick Fury and Phil Coulson to take on powerful invaders known as the Skrulls, who are led by Ben Mendelsohn’s Talos. It looks awesome. There’s so many elements to this movie and it story that are unique and different, something that fits perfectly into the MCU right now. There’s a reason she’s being brought in at this exact moment. Believe it or not, she’s the most powerful being the MCU has, and that includes both good and evil characters. As a longtime follower of the character, I can’t express how excited I truly am to see her brought to life. Not only that, but by a real talent like Brie Larson. I love everything I’m seeing from the film thus far. Honestly, as I was doing our reaction earlier this morning, and now talking about it here, it feels like I’m talking about an Avengers movies, that’s how big she is. Captain America is my all-time favorite, but I’d say Captain Marvel is a close second, at least third favorite character. Her standalone film is a project I’ve wanted to see for a very, very long time. There’s no doubt I will be first in line next March. Check out the first official trailer below, and make sure to leave your thoughts in the comments as well! Also attached is our official reaction to the trailer! Let us know what you thought of that as well! 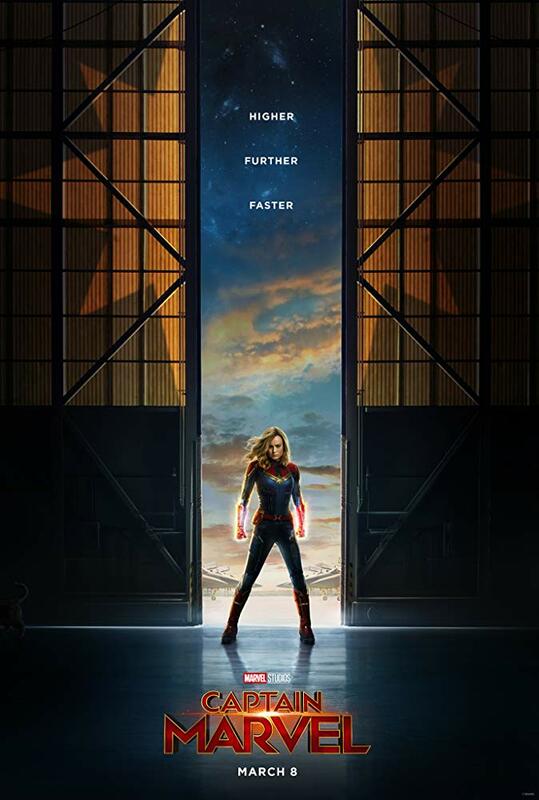 Also starring Jude Law, Ben Mendelsohn, Gemma Chan, Lee Pace, Djimon Hounsou, Clark Gregg, Annette Bening and Samuel L. Jackson, Captain Marvel lands in theaters on March 8th, 2019.